ModCloth, an online retailer of affordable women’s clothing and accessories, has launched a private label collection made up mostly of designs submitted and voted upon by its Facebook community. 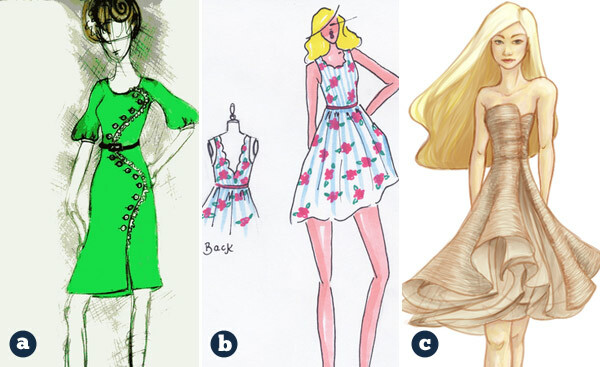 The retailer posted a call for design sketches on its blog and social channels in late November. ModCloth cofounder and chief creative officer Susan Gregg Koger then narrowed the pool of 1,900 entries to 90, and put them to a vote on ModCloth’s Facebook page in December. The winners — a diverse lot that includes high school students, aspiring fashion designers and costumers — were announced later that month, and now those pieces are available for purchase on ModCloth’s website.